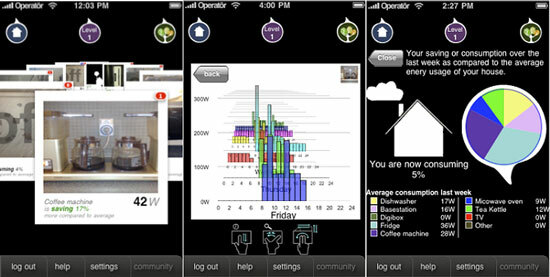 A smartphone application bringing gaming dimensions to energy awareness has helped householders in Finland, Sweden and Italy reduce their electricity consumption by up to 19%. Energy efficiency projects and renewable energy use in buildings and districts - the EU CONCERTO initiative presents a database of proven solutions. Analysis from Bloomberg New Energy Finance shows that the energy reserves contained in wind and bioenergy projects in the US and Brazil are significant compared to oil and gas. 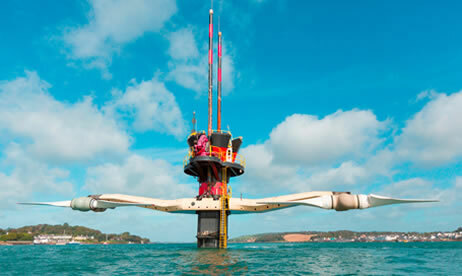 Researchers from ETH Zurich are developing a concept as to how the renewable energy potential from remote areas might be used to supply the world with clean power. It would be technically feasible. The aim of the ALGADISK project is to develop a modular, scalable, and automatic biofilm reactor for algae biomass production, with low operational and installation costs. The reactor will be designed to capture CO2 from industrial emissions to produce high value organic products. An innovative new process that releases the energy in coal without burning - while capturing carbon dioxide, the major greenhouse gas - has passed a milestone on the route to possible commercial use, scientists are reporting. 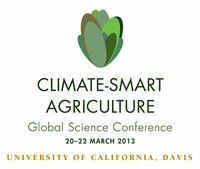 Scientists and policymakers from around the world will gather Wednesday through Friday, March 20-22, at the University of California, Davis, to grapple with the threats of climate change for global agriculture and recommend science-based actions to slow its effects while meeting the world's need for food, livelihood and sustainability. Proposed European legislation on auto fuel efficiency, to be debated this week, could create around 400,000 jobs and save the bloc tens of billions of euros in annual fuel costs, according to a new study. New models will deliver higher performance at lower costs due to optimized construction. Models of carbon dioxide in the world's oceans need to be revised, according to new work by UC Irvine and other scientists. Trillions of plankton near the surface of warm waters are far more carbon-rich than has long been thought, they found. A surge in health complaints linked to wind farms could owe more to increased discussion of health risk than the low-level sound generated by the actual turbines, according to a new study. Photovoltaic industry leaders define priorities for the coming years: smarter policy support, more forward-thinking power market design, technical integration of PV into the electrical system, increased focus on industry innovation. 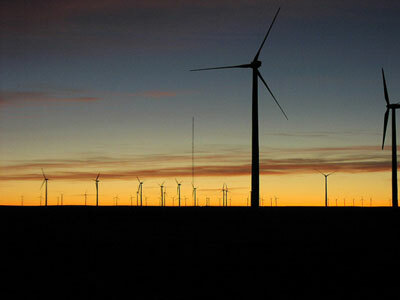 The Texas Panhandle's wind energy industry is about to be blown away. 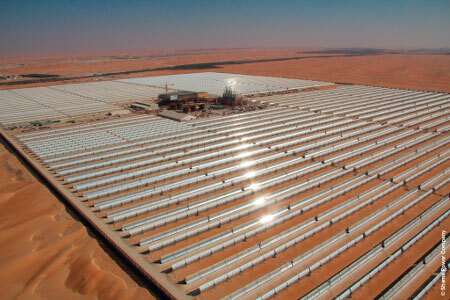 The inauguration of Shams 1, a 100 MW solar thermal plant, is a major milestone in the development and deployment of renewable energy in the Middle East. The Chilean Solar Energy Research Center (SERC-Chile) has begun research on solar energy development in the region of Antofagasta. CleanEquity Monaco 2013, the forum for emerging cleantech companies, closed Friday 8th March with its Awards Ceremony.